Traveler Reviews for Private Tour in Rome, Lazio, Italy by Tour Guide Claudia M.
We had the most wonderful day in Rome due to Claudia. She is extremely knowledgable and passionate about the art, the history and the culture of this wonderful city. We are a family of 5 and could not have appreciated let alone squeezed in all the locations we did without her. Everything was streamlined and perfect! Claudia was able to engage us and our (teenage and below ages) children for the full day and as a result our time with her in Rome was the highlight of our entire Europe holiday! Claudia was outstanding!!!! Her knowledge of Rome, personality, and humor was a perfect fit! She knew the answer to every question we asked and was fun to interact with! She mixed our tour with local flavors as well as the major sites everyone wants to see. I would absolutely recommend Claudia and will book another tour with her every chance we get! What an educational experience of Rome?! Thank you to Claudia for a great historical tour of Rome. Claudia was able to pack in the highlights all into 8 hours which is difficult to do. Rome was my dad and my favorite city of our Mediterranean cruise. Marco, our driver, was particularly amazing. He spoke great English, was so kind and knowledgeable of the city and was so accommodating of our needs! We will definitely request Marco as our driver on our next trip to Rome! We shall return! We did a full day tour with Claudia and Dino in Rome on 7/4/18. They were both amazing! I cant believe how much we got to see in only one day! 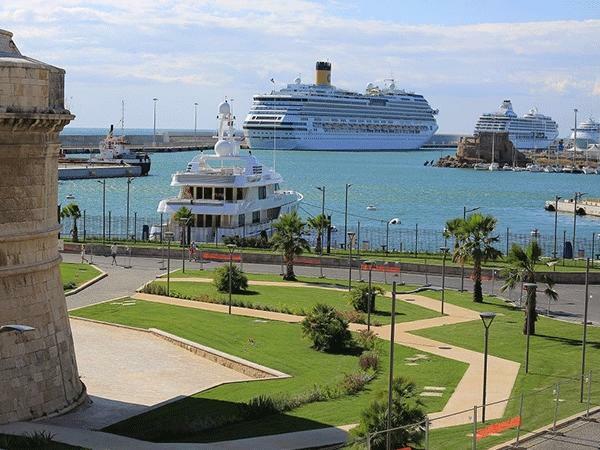 they picked us up at the dock in Civitavecchia and we drove in a Mercedes into Rome. We got private guided tours of the Coliseum, Roman Forum ruins, Trevi Fountain, Pantheon, Vatican Museums, Sistine Chapel and St. Peter's Basilica. Rome is an amazing City and Claudia and Dino really gave us the star treatment! Highly recommend!! Claudia is an absolute joy to be with and her knowledge is amazing. We had a really great day touring Rome with her. She is personable, explains things in as much detail as you need and kept us on track all day without feeling rushed. We had a wonderful experience of Rome. Thanks Claudia. Claudia was awesome! She was funny and kept us so well-informed. We felt safe with her and learned so much. I highly recommend her! Our driver, Robert, who Claudia had arranged to pick us up at the port picked us up promptly in a nice BMW 5-series, which was wonderful to drive in during our tour. Robert was not overly talkative, but was always attentive throughout the day. We met Claudia near the Coliseum. We were craving coffee so she quickly took us to a nearby cafe to get some caffeine. The historical details she provided made the trip wonderful, and it was topped off with her taking us to a cafe with amazing pasta. TOUR GUIDE RESPONSE: Thank you very much for your nice comments. We love Claudia! 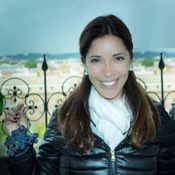 She is an amazing, intelligent, insightful, delightful guide for all that is Rome. She has all of the local "secrets" from special places to visit (that the crowds visiting don't know about) to lunch spots on side streets with the most amazing Italian specialties. She kept our 15 year old enthralled through an 8 hour day from Piazza San Pietro across Rome to San Clemente. She is very much an expert and we learned so much. Highly recommended! TOUR GUIDE RESPONSE: Thanks Katherine for your review! Claudia was very knowledgable and accommodating for our large group (23 people of all age ranges). It was a jammed packed day trying to see the most amount of sites within a short time period.